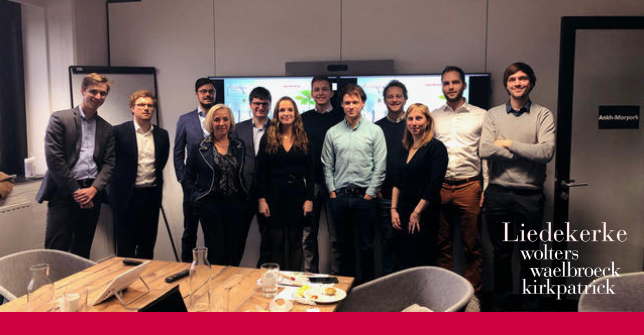 Last Wednesday, our Liedekerke Start-up Team gave a presentation on legal topics to a room of ambitious entrepreneurs selected by imec.istart. After the presentation, the start-ups joined one-to-one sessions with our lawyers and discussed the legal issues they are faced with. The Liedekerke Start-up Team, coordinated by Christel Van den Eynden and Wim Dedecker further consists of Steven Peeters, Davy Vandenbussche, Maurits Arnauw, Erika Ellyne, Marie Van Rossem & Jakob Mulier. IMEC is a Leuven-based R&D tech company that develops digital technology – smart health, smart mobility, smart energy, smart cities, and so on. Imec.istart is IMEC’s Business Incubation Program set up to support tech start-ups with coaching, facilities and funding. The program has an excellent reputation in the market (recognized in 2015 by UBI Global as one of the world’s best University Business Accelerator) and an impressive success rate in comparison with other incubator programs. Through its partnership, Liedekerke offers legal advice during four annual workshops and one-on-one sessions. As one of imec.istart’s structural partners, Liedekerke offers legal advice in a broad selection of areas, most notably in commercial law, IP/IT contracts and data protection, employment, tax, and issues in relation to the internationalisation of the start-ups.